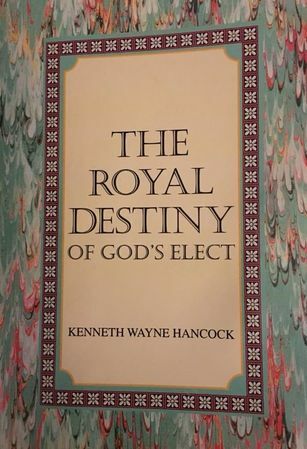 ​Wayne and is offering free copies of his new book, The Royal Destiny of God’s Elect. No gimmicks; it is free with free shipping in the USA. It is a 220 page trade paperback and is my love gift to his readers. In my book the Spirit lays out God’s vision of His plan to fulfill His purpose of reproducing Himself–in us! God wants us to become like the apostles Peter, James, John and Paul! Christ did say that His disciples would do greater works than what He did. We are His disciples in these last days. ​All you need to do is to include your complete mailing address, Along with the words “New Book” in the subject line below. And ill send you a copy of my most recent book.